Who doesn't love Christmas trees and glitter?! 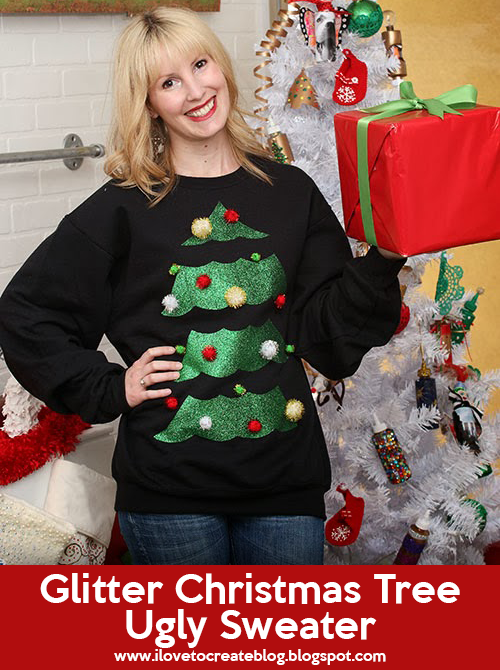 Why not combine the two for a Christmas sweater that twinkles with tackiness this holiday season? You might just find some of your friends leaving presents at your feet while you're wearing it! 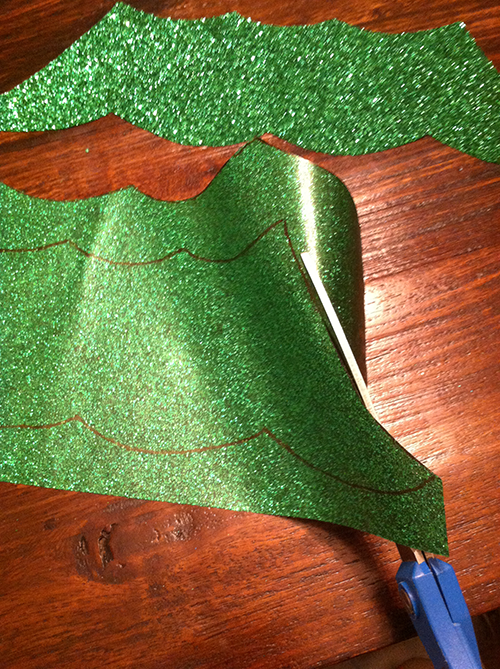 Cut out the tree pattern and trace onto the backside of a green Shimmer Transfer Sheet. Repeat until you have the number of tree layers you want. Cut out each layer from the Shimmer Transfer Sheets. 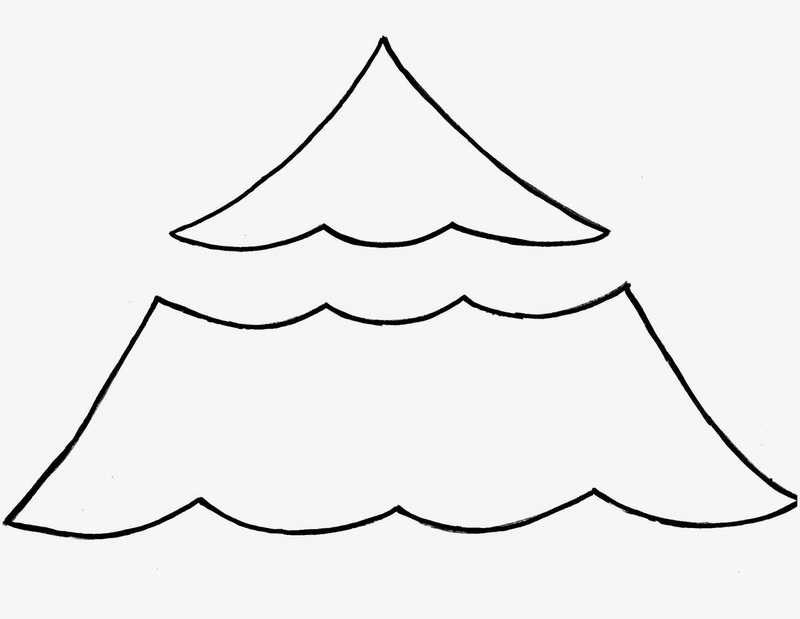 Place cutouts shimmer side up on your sweatshirt and one at a time, place a thin cloth over each cutout and iron in place following the package instructions. Use Fabric Fusion to glue shimmery pompoms onto the tree to create ornaments. Voila! 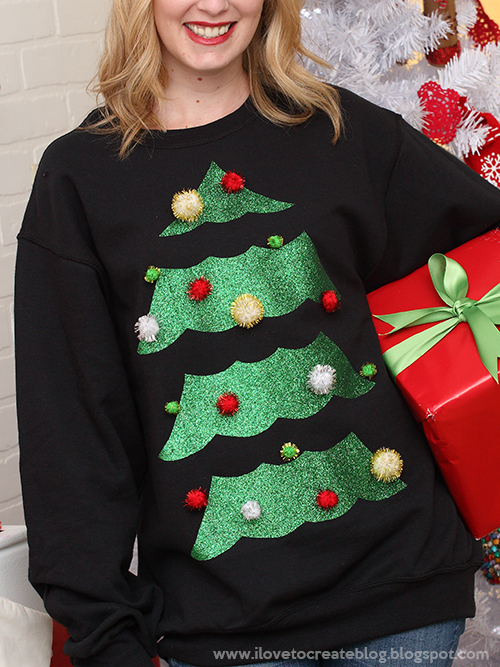 A tacky tannenbaum sweatshirt that'll outshine any of the trees at your holiday parties this year. This is so cute...cannot seem to find the link for the tree pattern.